Only a few crumbs of information have been provided so far about the state of health of Uzbekistan’s President Islam Karimov. The biggest bombshell was dropped on Instagram by Karimov’s daughter, Lola Karimova-Tillyaeva, who revealed on August 29 that the 78-year-old president had succumbed to a brain hemorrhage. Uzbek authorities have been atypically candid about the fact of the illness, if not the details. Analysts say that Tashkent was likely prompted to reveal Karimov’s illness and hospitalization — the first time the government has ever commented on his state of health — because of upcoming Independence Day celebrations on September 1, since the president’s absence would have sent the rumor mill into overdrive. Under the constitution, it is the Senate chairman, currently Nigmatilla Yuldashev, who holds the reins of power while the president is incapacitated. Yuldashev, a former Justice Minister, is one of many anonymous figures within Uzbekistan’s nebulous elites, so the obvious and well-known candidates to succeed Karimov are few. The succession will likely play out behind the scenes and under the control of the powerful domestic intelligence agency, the SNB, and its director, Rustam Inoyatov. However, the opaque nature of the regime in Tashkent makes it difficult to speculate on who might step into Karimov’s shoes, said Alice Mummery, a London-based independent analyst specializing in Uzbekistan. “Through his presidency, Mr. Karimov has moved swiftly to remove any potential threats to his power base. This makes it very difficult to ascertain who is a likely successor in the event of his death or incapacitation,” Mummery said. Along with many other commentators, Melikishvili is tipping Prime Minister Shavkat Mirziyoyev and his first deputy, Rustam Azimov, as the most likely candidates. The Karimov family is likely to be sidelined, in the light of the downfall of Gulnara Karimova, the president’s eldest daughter. Once tipped as a likely successor to her father, Karimova became embroiled in international corruption investigations involving Uzbekistan’s telecoms sector in 2012 and has been held under house arrest in Tashkent for two and a half years, most of that time incommunicado. “In all of this, Karimov’s family members are very unlikely to play any significant roles and I tend to discount them altogether,” Melikishvili said. Some observers, however, are still placing bets on Timur Tillyaev, the businessman husband of Karimova-Tillyaeva, as a possible dark horse candidate for the presidency. As Tashkent-watchers seek clues about who is really in charge and how the succession scenario will play out, all eyes will be on the Independence Day celebrations on September 1. If Yuldashev reads Karimov’s address to the nation marking a quarter of a century of independence, “this will imply that the constitutional pathway is under way”, said Melikishvili (although Yuldashev would likely only be a stop-gap until a new president takes power). If it is someone else who delivers Karimov’s speech, that person will immediately become the hot tip to be the next president. A managed behind-the-scenes succession along the lines of that which played out in Turkmenistan when the long-ruling dictator Saparmurat Niyazov died in 2006 and power passed to the current president, Gurbanguly Berdymukhamedov, is a likely scenario for Uzbekistan, observers believe. The risk that the rival players will fail to reach a deal on who should assume the reins of power, with potentially destabilizing consequences, cannot be ruled out. Russia has been the first foreign government to react officially to the news about Karimov. Interfax news agency cited Kremlin spokesman Dmitry Peskov as expressing sympathies for Karimov’s ill health. Peskov said that Moscow was relying on media and diplomatic channels to keep abreast of the situation. “We don’t have any additional insight,” he said, adding when asked that it would be “improper” to speculate about possible instability. Russian state news agency Sputnik has not been as circumspect. In a report published by the agency’s Kyrgyzstan service, former security services officer Talant Razakov speculated about possible unrest to follow. “The fact is that in Uzbekistan there are many clans, and under Karimov’s control they all cohabited more or less peacefully. In the event of him being seriously ill, or heaven forbid, if he dies, the fight for power between different groups could serve as a precursor to conflicts and as a consequence lead to spikes of unrest,” Razakov told Sputnik. Several other experts queried by Sputnik offered similarly bleak prospects. 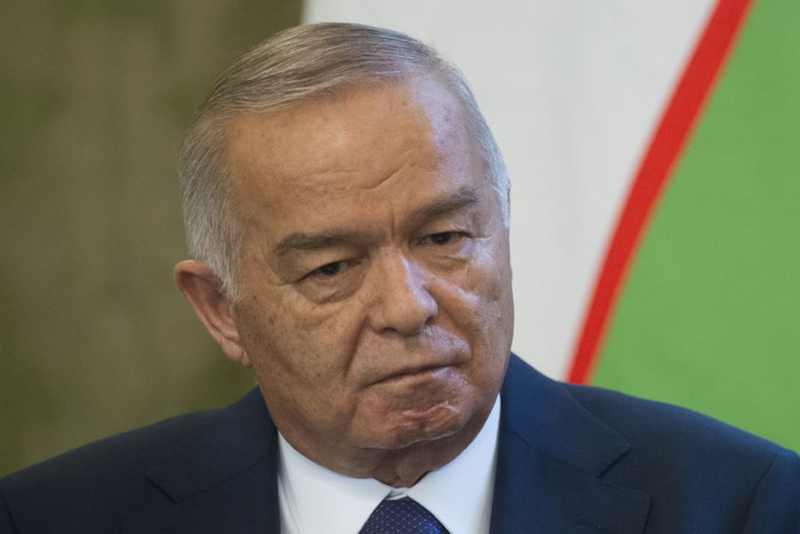 There is also the possibility, which will diminish with every day that Karimov remains off the public scene, that the veteran leader who has ruled Uzbekistan for over a quarter of a century could return to his perch. But the damage that the lack of long-term political planning by Karimov has done will not be easy to undo. “Given Mr. Karimov’s age, the lack of an eventual succession plan raises considerable concerns over political stability and the country’s future over the longer-term,” Mummery said.